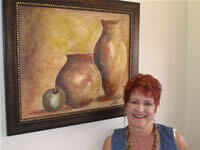 "Marietjie" was born in the West Rand in 1951 where she matriculated. She moved to the Lowveld in 1984. 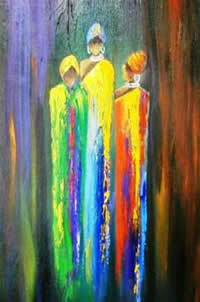 She is a self-taught artist and expressionist who paint from the mind and heart. 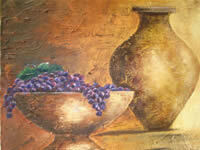 She did her first painting at the age of 50 after experiencing an emotional period in her life. 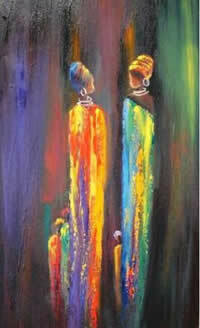 Her works speaks of the different stages and emotions in her life she went through from very dark colours to very colourful colours. Her works were sold as far as Germany and Sweden.